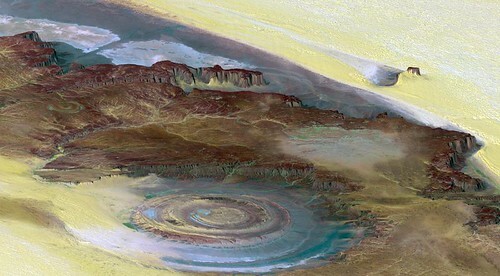 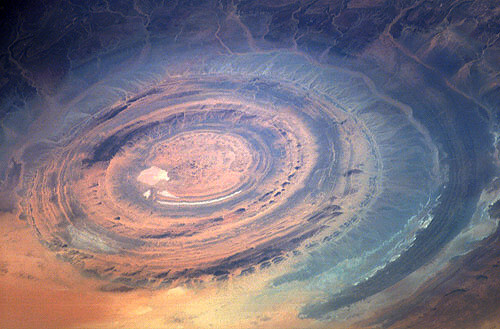 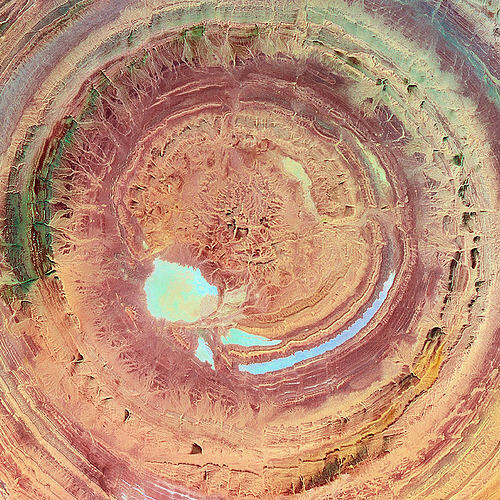 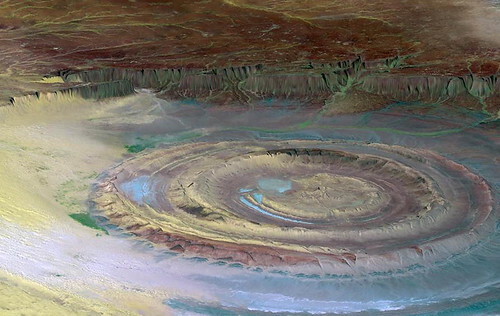 The Richat Structure, Oudane, Mauritania, is not really a structure but a huge circular formation (50 km in diameter - 30 miles), that resembles an eye when looked upon from space. 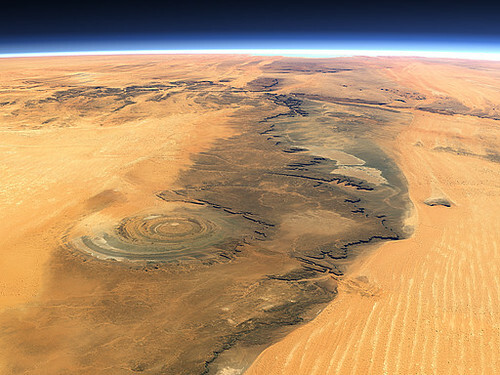 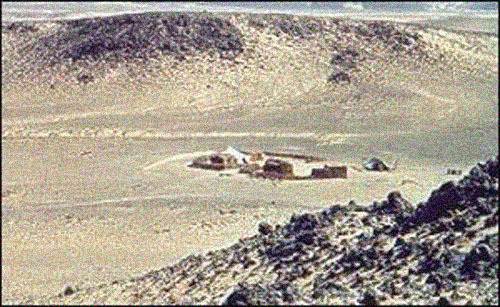 Originally thought to be a crater, this volcanic dome is most likely a product of erosion, an ancient geological artifact in the middle of featureless Maur Adrar desert, in Africa's Western Sahara. 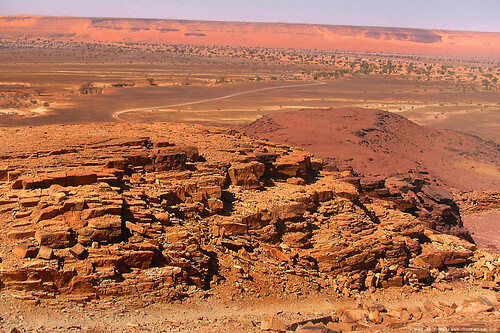 The earliest space missions used it as a landmark, the adventurous 4x4 enthusiasts consider it to be their playground, and scientists are still debating its origin. 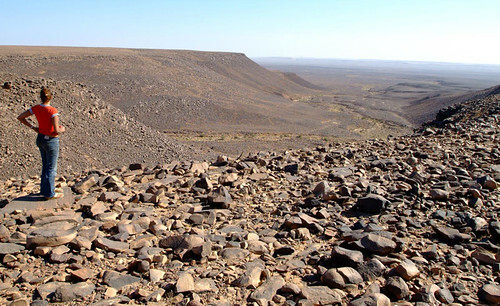 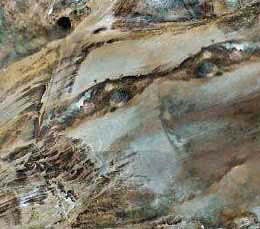 The meteorite impact theory could not explain the flatness of the "crater"'s floor, so the most accepted explanation is the erosion of the initial volcanic dome, which gradually peeled away the layers of rock, creating the present onion-like form. 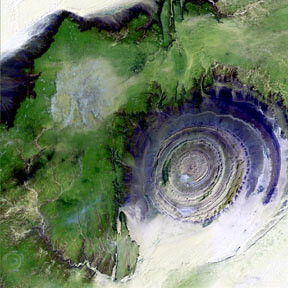 The area around "the guelb" is interesting as well: F'Derik, one of the biggest iron mines in the world is located about 100 miles southeast. 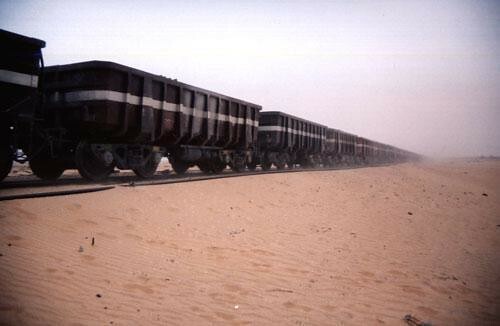 The iron ore produced there is exported all the way to the Atlantic port of Nouadhibou, via a 419-mile (674-kilometre) railway, which is the longest non-stop railroad in the world... (no passengers allowed). 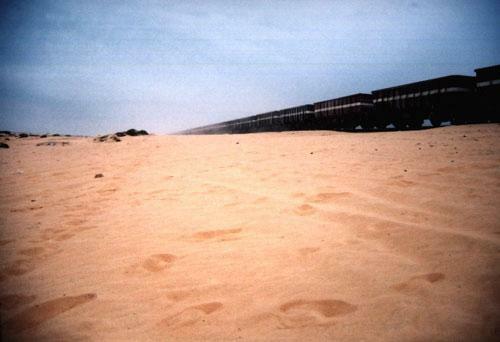 The train from Nouadhibou to Choum is the longest train in the world. 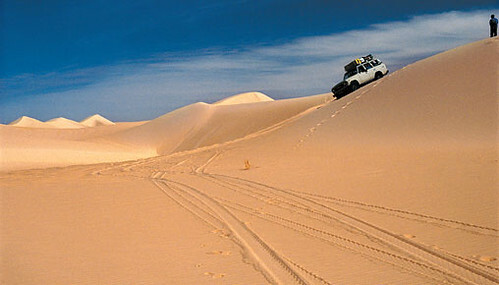 Its chain of cars can be up to three kilometres long.